If You Can Imagine It, We Can Make It A Reality. Family owned and operated, Miniature Golf Solutions by Bailey Consulting Inc. has over 25 years of experience in all phases. View some of our current and upcoming projects. We are ready to start planning and building your miniature golf course. Based out of Ormond Beach, Florida, Miniature Golf Solutions by Bailey Consulting Inc. has been designing and building premier miniature golf courses for over 25 years. In addition to the design and construction aspect of miniature golf, owner David Bailey and son Matthew Bailey are also involved in all aspects of operations. This experience has proven very helpful in creating facilities that are fun and challenging, profitable and low maintenance. 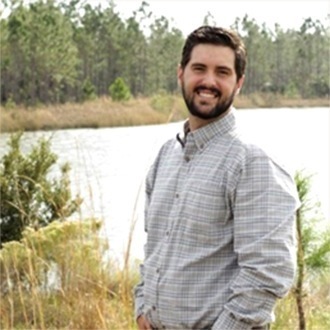 Hi, I'm Matt Bailey, part owner of Miniature Golf Solutions by Bailey Consulting Inc. My Dad David Bailey began this business about 25 years ago and I've been lucky enough to be involved for about 10 years now in all aspects of our family. We were happy to work with you all. Every phase of the process was wonderful and Matt and David were always patient, kind and flexible! Mr. Dave Bailey from Miniature Golf Solutions built an immaculate 'Grato' for the outdoor pool area to our 7,000 sq. foot home and we love it. Just a thanks to Dave and his crew. This was my third course Dave has built for me. Each project has come in on budget and on or before the time frame given. The quality of their work is second to none. I have researched the mini golf construction industry and truly believe Miniature Golf Solutions is the best. The rockwork and waterfall created for our pool area has changed an ordinary pool into a tropical paradise. David's ideas and designs were developed for the budget and the atmosphere we were striving to achieve. He was so easy to work with and very professional!! Just a quick thank you to MGS. This is the second course Dave has built for our company. We now have the two best mini golf courses in Branson. The volcano is a huge draw. Thank you to the guys at MGS. This was our dream and you made it come true. Please come back and visit us, and play the best course in Pa.
What an incredible transformation you made of our ordinary pool area. Your ideas and workmanship were brilliant and gave us a backyard recreation area second to none! You are the BEST! HI Dave Our opening day went well even though it rained all day. The sun came out today and the parking lot has been full since 11am. The course is full and we have a lineup. WOW! I can’t believe it. We may be building Dunn-D’s big brother next year after all??? Have a great weekend. David, Jackie and their team just completed an 18 hole mini-putt course here for us at Mitchell Resort and RV Park in Perrin, Texas. The entire experience exceeded our expectations for time required and quality of the finished product. David is very talented with his vision for the land available and creation of a finished product that will suite all ages and levels of play. The course has now been open for 1.5 weeks and customers response have been 100% positive. Their feedback through words and laughter; again , has gone beyond our greatest expectations. The product was 'turn key' and in quoted budget as promised from the beginning. All interested in building a mini-putt should put this team at the top of the list when doing your homework for construction. Please feel free to contact us at any time with your questions. I wanted to say thank you to MGS for a great experience during the construction of our course. You guys did an amazing job. I am 100% satisfied with the work Miniature Golf Solution did on our new Heron's Cove Adventure Golf course. The Miniature Golf Solution team was able to keep the natural surrounding of our large oak trees and sculpt a family entertaining golf course. Our new course is able to challenge any serious golfer and the amateurs at the same time. I would recommend Miniature Golf Solution to any future developers as the owner was professional, honest, on time and completed everything he promised. David & Crew, we really enjoyed working with you and your crew this spring up here in Iowa. though we didn't have the best of weather at first to start off the project it finished well. we couldn't be happier with things and how well they have turned out. what a great job you did on this. As the owners, we designed the majority of the course ourselves, with the help of our employees. Miniature Golf Solutions took our designs in stride, worked alongside us and created a channel of intercommunication throughout the entire process that we would expect only from the best companies out there. Working with Dave Bailey and his company to complete our miniature golf course dream was an absolute pleasure. We look forward to working with them again in the near future. It was absolutely a pleasure working with Miniature Golf Solutions for the Westgate Property here in Williamsburg. You guys were very responsive and coordination was seamless. We would definitely recommend you guys for future work! The course turned out great! When we purchased our home for retirement, we knew that a miniature golf course would be a fun activity. After consulting with several companies, we knew we had 'hit a homerun' with Miniature Golf Solutions. Dave and his team created the miniature golf course we'd dreamed of. Dreams do come true. They were wonderful, creative and extremely considerate. People have been enjoying the sport of mini golf for decades. Learn what makes this activity so popular, and how you can launch your very own miniature golf course. Just like in real estate, selecting the best location is essential for the long-term success of your miniature golf venture. Discover how to find the best spot with this advice. Copyright © 2018 Miniaturegolf Solutions · All Rights Reserved.